Are you ready for fresh healthy vending machines in Houston Texas? Look no further than Hometown Healthy Vending. 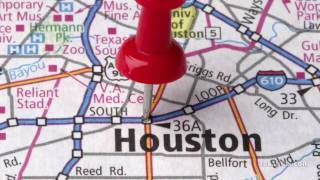 We are located in The Woodlands TX and service all of Montgomery County and most areas around the North side of Houston… including Tomball, Spring, Humble, Kingwood, Greenspoint, Cypress, and most other areas of North Houston. Hometown Healthy Vending of Houston TX is a healthy only company specifically designed for Houston area schools, universities, health clubs and gyms, hospitals, and select large corporate buildings. We take fresh healthy vending to the next level with brand-new state of the art machines that are healthy wrapped to stand out in a crowd. Please visit our machines page for more information and pictures. Looking for great products for your Houston area students or staff members? Check out our fresh healthy products page today. You will be impressed with our large selection of healthy vending products for your Houston area school, office, health club or gym, hospital, etc. Best of all, Hometown Healthy Vending is a true local healthy vending company in Houston! We are not one of those large franchise operations from California. We are a Texas Corporation and only operate in the Houston and surrounding areas of Harris County Texas. Our commissions are larger than our California competitors and we offer top up-front donations to help your bottom line.